Quirky items are interesting items. Quirky bags really trended for a while and as always, I'm a bit late on getting on the train. There's this satisfaction in answering "Oh I made this" when asked "Where did you get that?" 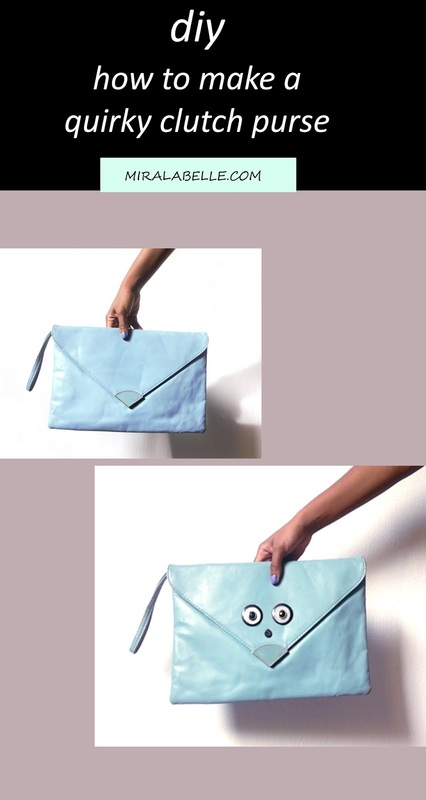 so I chose to make a quirky purse. This DIY is so simple, my dog could do it with his eyes closed. I'm not kidding. 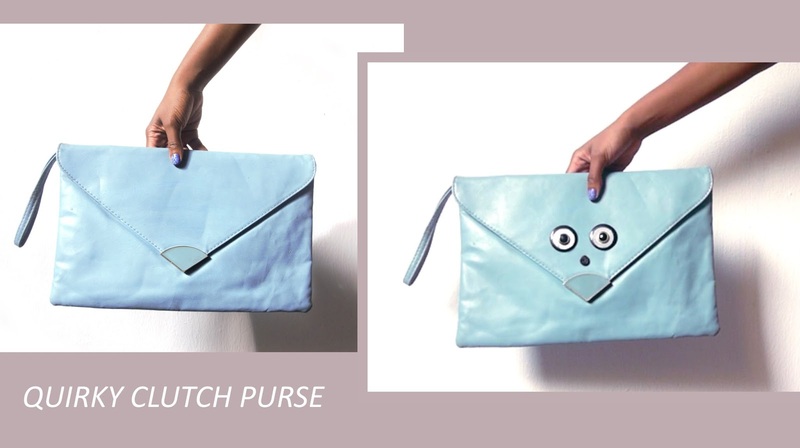 Here's how to make a quirky clutch purse. -A bag or your preferred fashion item. I decided on making a face. To do this, you'll need eyes, a nose and a mouth. My purse already had something that could function as a mouth so I skipped that part. -Cut two very small black circles. Layer these circles from the biggest to the smallest and glue them on respectively. For the nose, you could use anything small. I didn't have a button small enough and didn't want to use fabric so I curled a cord and glued that on. To view the whole process from start to finish, watch this video. If you enjoy it, don't forget to subscribe, like, share and comment. On this note, I'd like to ask: Do you prefer DIY videos or pictures? Let me know in the comments, I'd love to learn from you. Don't forget to subscribe to my blog and follow me on Instagram, let's connect! I prefer pictures, for data sake. Lol. Yours is the easiest way. Thanks for the tutorial. Quite easy, I should try this. Pictures are better off but if there's a video to back it up, still okay.